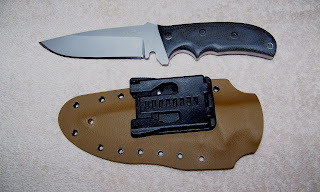 Here's one that I made last month for a guy that recently headed to the sandbox. This is my PaleHorse Fighters Model 9. 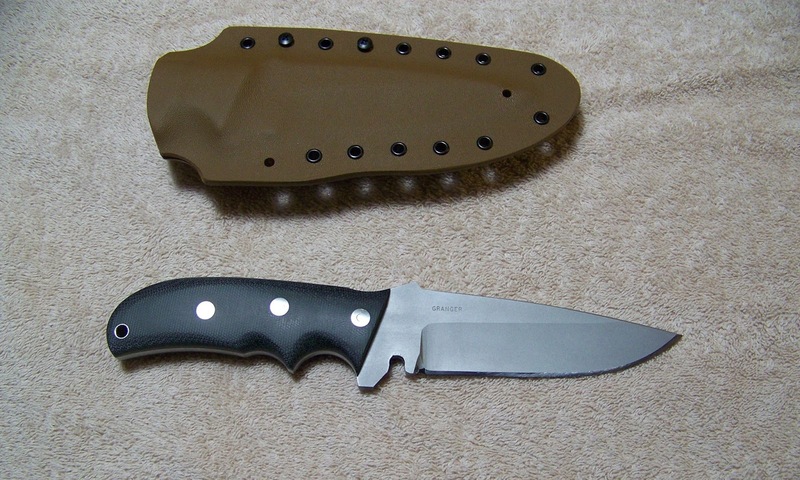 Blade is 5.0" x 0.25" S30V. Hardened by the very good people at Peters Heat Treating Svc to HRC 58 - 59. Overall length is 10.2". 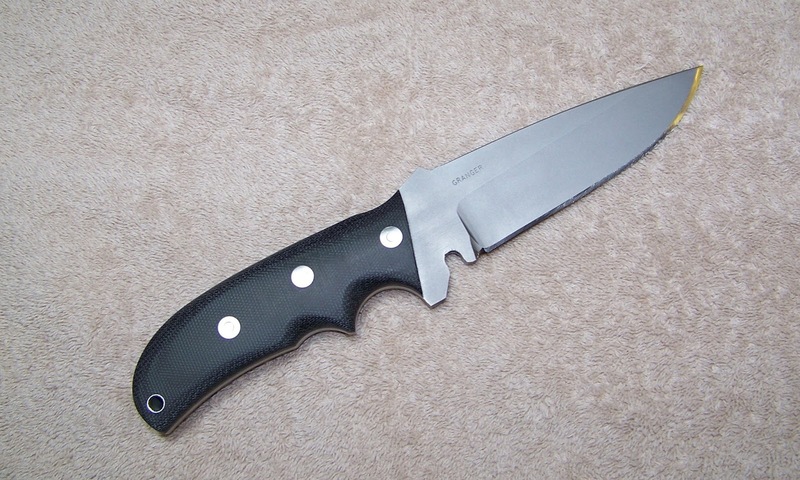 It's got black canvas Micarta handle scales and Loveless bolts with a stainless thong hole tube. 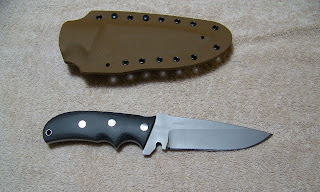 The whole knife has a subdued finish. 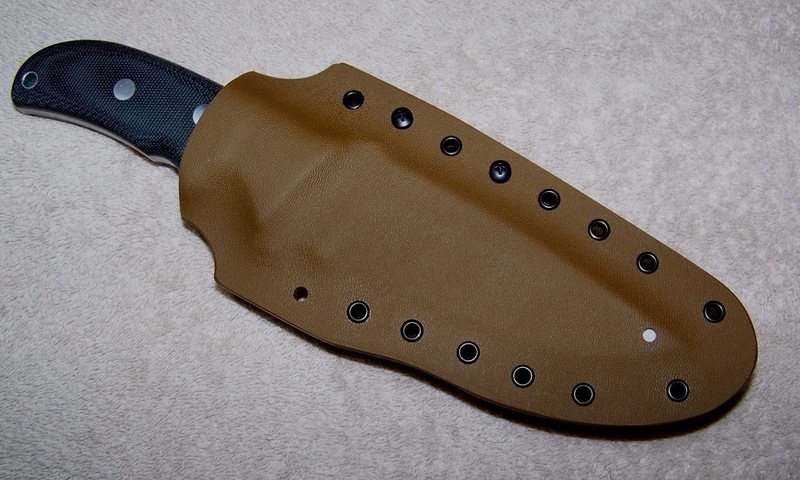 She's carried in a Kydex sheath. I've been shot, paralized from the neck down twice, almost died from menigitis and gone thru a windshield backwards. I know God loves me and isn't thru with me yet.